Welcome to a new semester with SUDS! 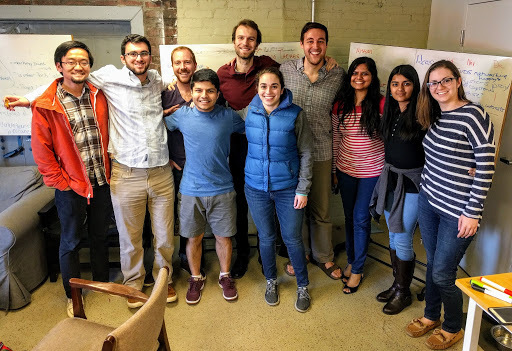 Let us reintroduce ourselves – Students for Urban Data Systems (SUDS) is a group of intellectually curious students at CMU dedicated to solving real life problems. We believe data analysis, data visualization, and machine learning skills are key to understanding and responding to issues in today’s data-heavy world. Unfortunately, many community organizations are not always equipped to do this type of data manipulation and analysis. That’s where we come in. SUDS partners with organizations in Pittsburgh and Allegheny Country that are dedicated to social good, and we lend our skills to their mission. In sum, we connect our members with opportunities to do good with data. In 2015, a small group of students recognized an opportunity to combine the skills they were learning in class with their ambition for contributing to the welfare of community organizations. That idea was the seed for SUDS. In two short years, we have grown from the original group of five students to a network of 50+ regular members, with hundreds of students participating in our activities in the past two years. Obviously, our founders tapped into something that excited students across the CMU community. Today, students from all academic disciplines and skill levels participate in SUDS projects, workshops, hack nights, and speaker series.